"Oh, I'm so jealous of your fresh rhubarb!! It always reminds me of summers at my grandparents' house :) "
I found this recipe in May issue of Martha Stewart Living. Preheat oven to 350 degrees. 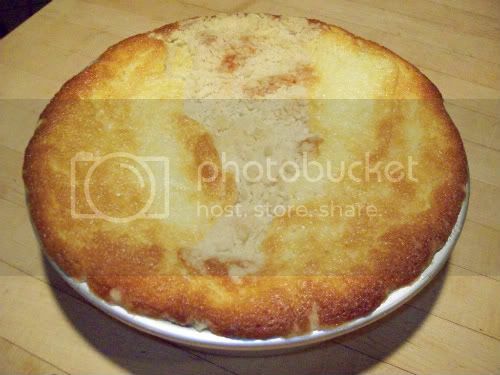 Make the topping: Stir together, (I used my fingers), butter, flour, sugar, and 1/4 teaspoon salt until moist and crumbly. 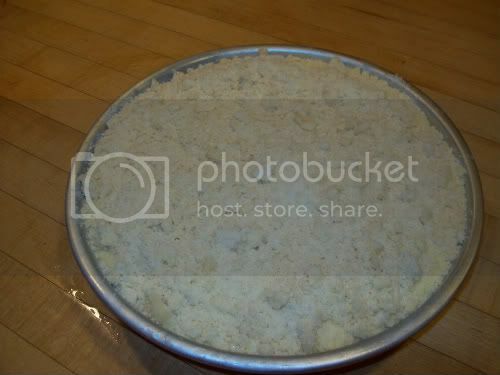 Make the cake: Butter a 9-inch round cake pan (2 inches deep). Dot with 4 tablespoons butter (cut into pieces). 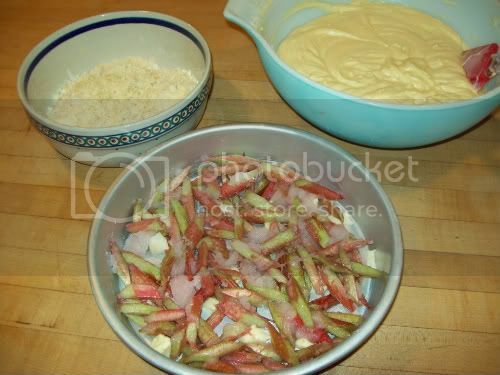 Toss rhubarb with 3.4 cup sugar; let stand. 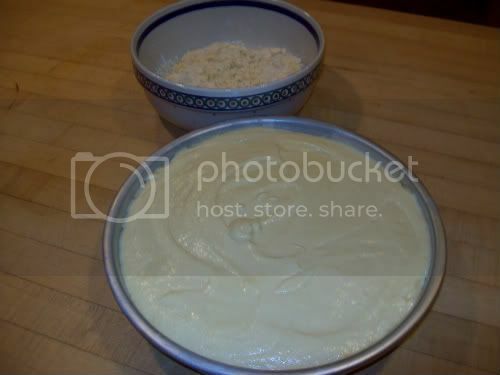 Whisk together flour, baking powder, and 1 1/2 teaspoons salt. Beat remaining stick butter and cup sugar with a mixer on medium speed until pale and fluffy. Beat in zest and juice. Beat in eggs, one at a time, until incorporated, scraping down sides of bowl. Beat in flour mixture in 3 additions, alternating with sour cream/yogurt, until smooth. Let's start assembling this cake! Toss the rhubarb again and spread in pan. 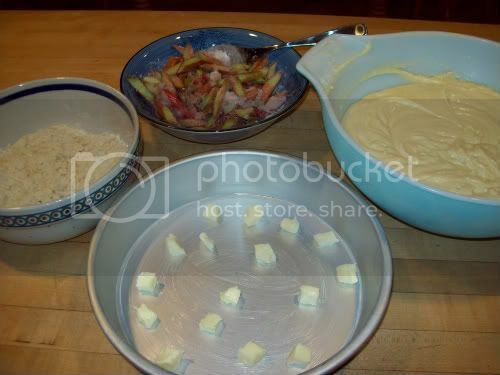 Spread cake batter evenly over rhubarb. Sprinkle crumb topping evenly over batter. Let cool for 10 minutes. Run a knife around edge of cake, and invert onto serving plate. Let cool completely before serving. Warning! This is a very rich cake! I gave this recipe 4 spoons. 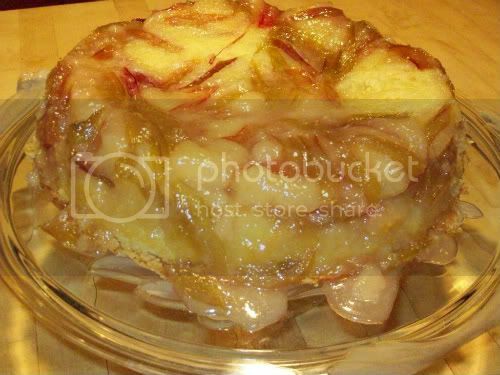 It was yummy and useful but I didn't like that the recipe's cooking time was so far off. Oh, you are just too thoughtful and sweet! Thank you! I thought you'd want a slice!